Community Forklift lifts up local communities by making repairs affordable, reducing waste, promoting reuse, and creating green jobs. Make repairs and renovation more affordable for everyone in the community—homeowners, small businesses, charitable groups, etc. Provide public education about reuse and recycling options, green living, and environmental sustainability. Build the local economy and develop career opportunities for nearby residents. Americans love to redesign their homes—we often change out materials like cabinets, appliances, and bathroom fixtures for the newest color, shape and technology. To keep up with demand, suppliers clear out leftovers and overstock, throwing away brand-new items. To make way for new construction, developers demolish old buildings, destroying old-growth lumber and antique fixtures. As a result, building materials make up a HUGE part of our nation’s solid waste stream! The EPA reports that we generated 548 million tons of construction & demolition debris (“C&D waste”) in the United States in 2015— that’s more than twice the amount of regular trash (“municipal solid waste”) thrown out by homes, hospitals, and businesses! Then, we buy brand new materials. To produce these new building supplies we must harvest, drill, mine, and transport natural resources across continents, causing serious environmental damage. Manufacturing the items and transporting them to stores uses even more fossil fuel, releasing carbon into the atmosphere. We’re turning the waste stream into a resource stream! 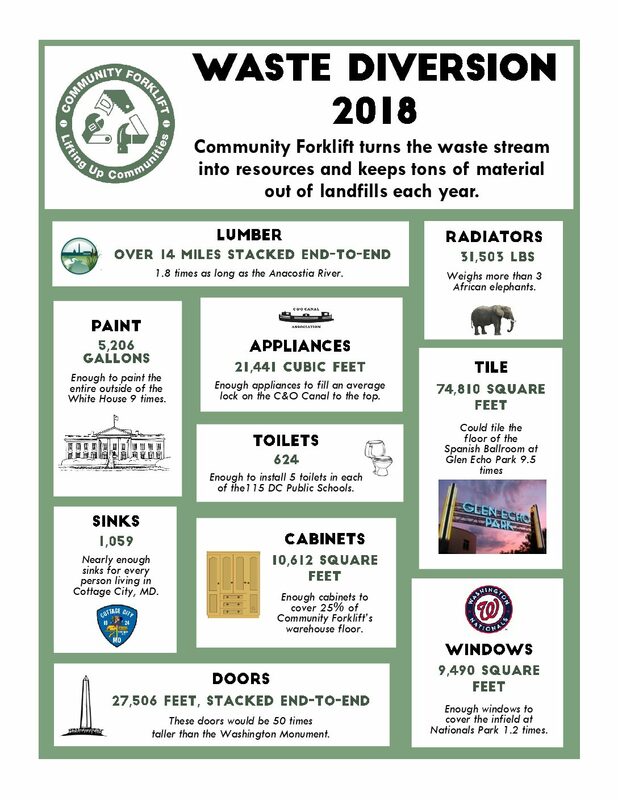 Recovered an estimated $30 million of building materials in the DC metro region, keeping tons of materials from going to landfills or being burned in incinerators. Supplied materials for 20,000 homeowners, small businesses, nonprofits, artisans, and historic restoration projects. Provided over $300,000 in free materials to neighbors in need and local nonprofits since 2011. 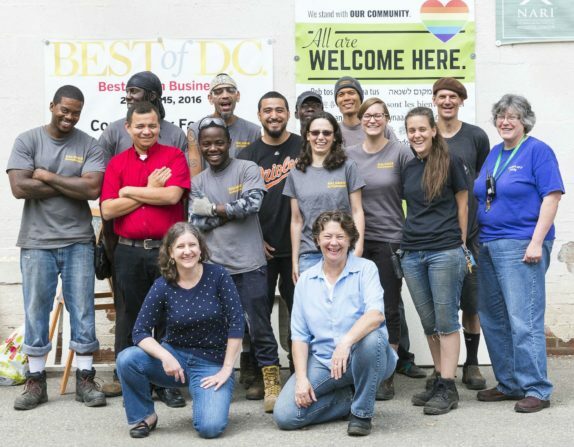 Partnered with hundreds of community organizations, housing nonprofits, schools, gardens, theatres, Eagle Scout projects, faith-based groups, and volunteers. Helped to draw green businesses to the area, much like an anchor store draws shops to a mall. 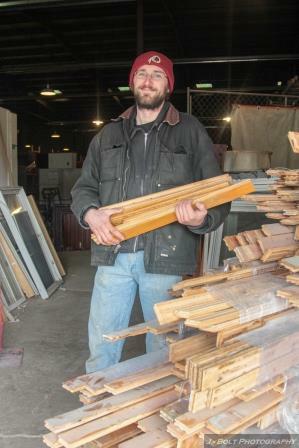 These businesses include appliance repair experts, an antique lighting restoration specialist, a woodworker who mills trees felled by storms, and crafters who upcycled furniture from scraps. Community Forklift has created a lot of green jobs and economic activity. Our operation has grown to 40 employees, and supports additional contractors and partners. We hire returning citizens and others with barriers to traditional employment, and partner with workforce development programs to offer training and career opportunities. Local tradespeople get more work because inexpensive materials mean lower bids. 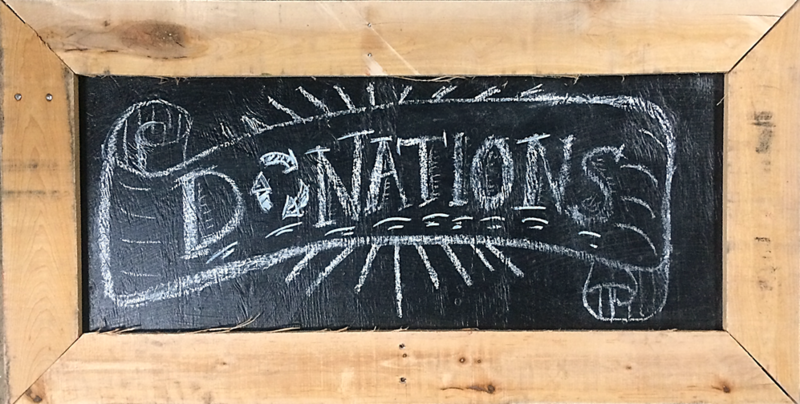 Building and supply companies benefit by donating, because they reduce disposal costs and earn tax deductions. Landlords and small businesses can afford to fix up their properties, increasing property values and making neighborhoods cleaner and safer. Local public works departments receive less trash, saving tax dollars and reducing greenhouse gas emissions. 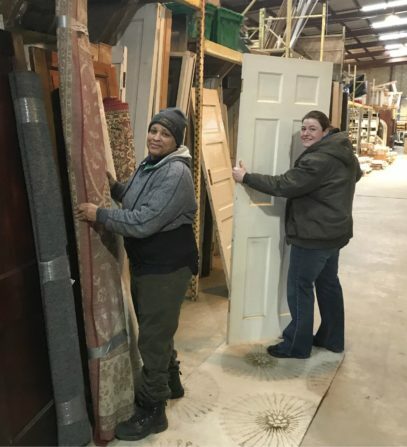 Part of our inventory comes from deconstruction, in which a building is carefully taken apart by skilled laborers instead of demolished. Deconstruction employs more people than simple demolition – and the higher labor costs is offset by the tax-deduction benefits and lower dumping costs. Building-material reuse is a solution that just makes sense. Everyone benefits from less waste, a stronger economy, and a cleaner environment!